The Tata Zest compact sedan, one of Tata Motor’s most important car launches this year, will make its Indian debut in the next few days. 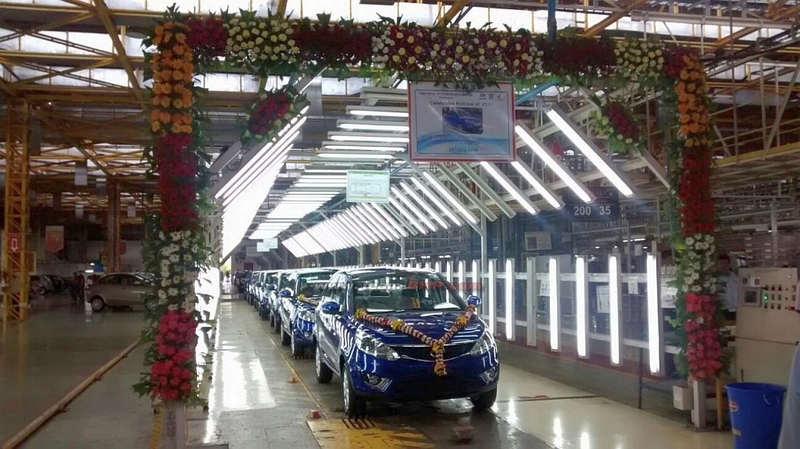 The car’s serial production has kicked off at Fiat’s Ranjangaon factory. 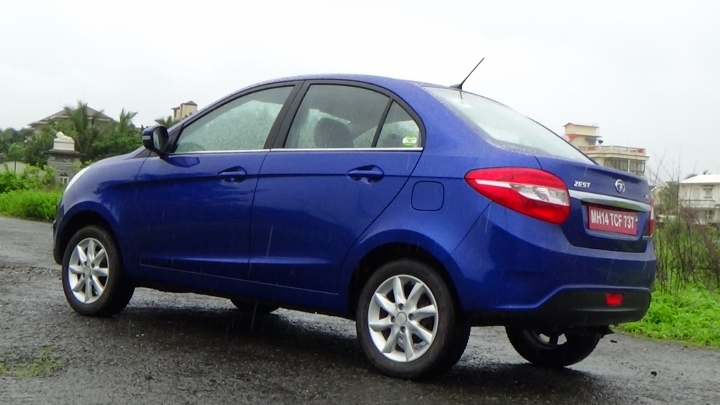 Notably, Tata Motors uses the Fiat Ranjangaon factory to produce cars such as the Vista hatchback, Manza sedan and now the Zest compact sedan. Tata and Fiat have a production joint venture, with the former also borrowing the latter’s engines for Tata car models. Like the Vista and the Manza, the Tata Zest also uses a Fiat Multijet engine in its diesel variants, in the 90 Bhp-200 Nm state of tune. What is new in the diesel engined Zest’s mechanicals though, is the 5 speed automated manual transmission, a segment first feature and the first diesel AMT car ever in India. The AMT unit also comes with a Sport mode that speeds up gearshifts. The diesel engined Zest will also be available with a five speed manual gearbox on all trim levels. 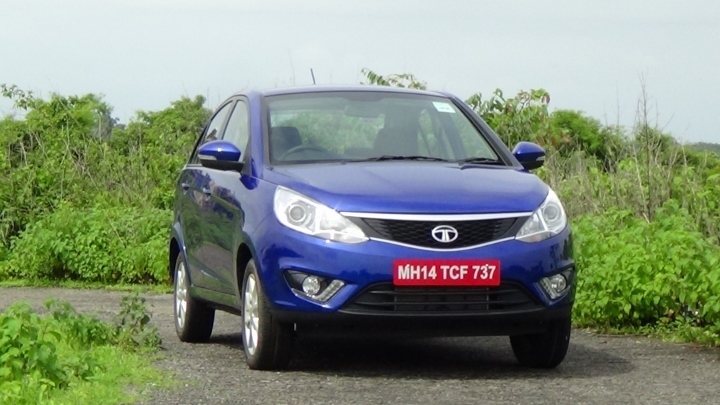 The Zest petrol gets a 1.2 liter turbo petrol engine that has been engineered in-house by Tata Motors. This engine (88.7 Bhp-140 Nm) will use a conventional 5 speed manual gearbox, albeit with three driving modes – Eco, City and Sport. 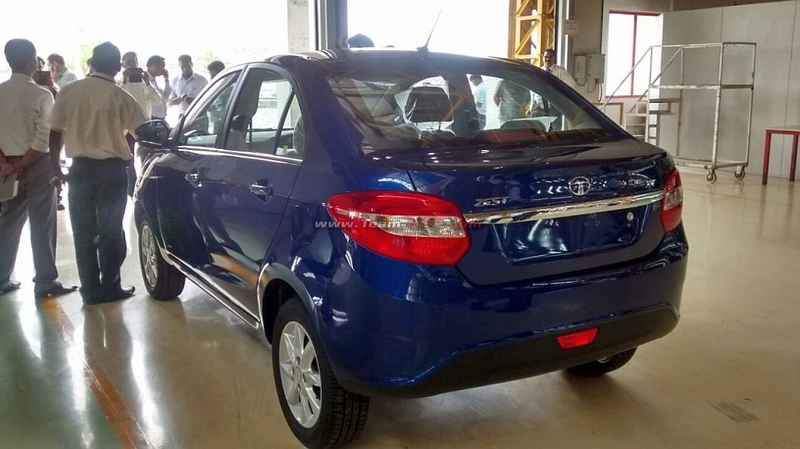 Tata Motors will not offer the Magneti Marelli sourced automated manual transmission on the Zest Petrol as the AMT unit hasn’t been designed to work with Tata Motors’ in-house turbo petrol engine. However, the petrol engined Zest is also a class leader in India as the compact sedan segment has not featured a turbo petrol engined car thus far. The Zest also gets new features on the inside and a high quality dashboard. Bookings of the car have already opened online. Deliveries will begin soon after the launch. 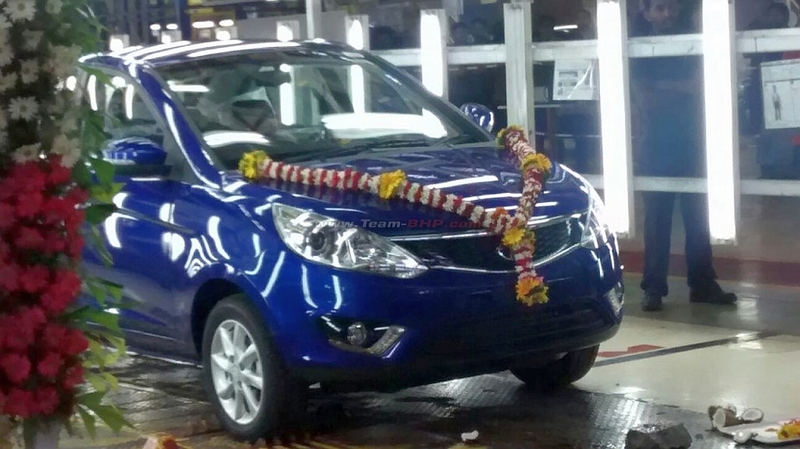 Tata Motors is expected to price the Zest very competitively considering the fact that the compact sedan is the Indian automaker’s comeback vehicle.